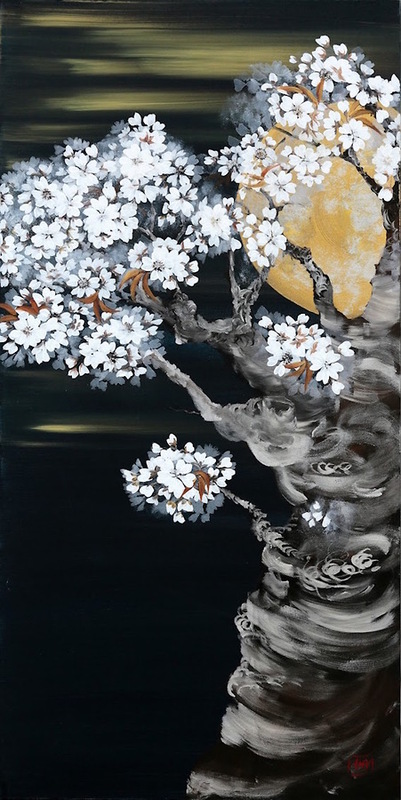 “Full Moon and Cherry Blossom” speaks to us about the permanence of nature and its seasonal clock – a time to bloom, a time to wither, a waxing moon, a waning moon - repeating day after day, month after month, year after year. NH captures the full moon hiding behind the old cherry tree and recollects the joy of Shakuhashi (a traditional Japanese flute made of bamboo) concert in Takao (near Tokyo) under a moonlit sky. A perfect moment.